Canada was not in a welcoming mood when Ukrainian displaced persons and other refugees began immigrating after the Second World War. 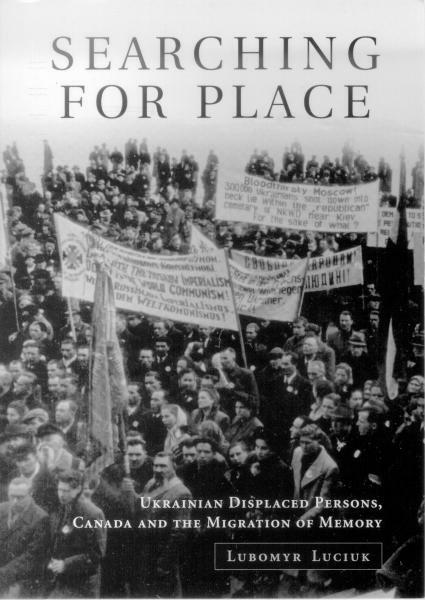 In this compelling and richly documented account, Lubomyr Luciuk maps the established Ukrainian Canadian community抯 efforts to rescue and resettle refugees, despite public indifference and the hostility of political opponents in Canada and abroad. He explores the often divisive impact that this 憈hird wave� of nationalistic refugees had on organized Ukrainian Canadian society, and traces how this diaspora抯 experiences of persecution under the Soviet and Nazi regimes in occupied Ukraine, and their subsequent hiving together in the cauldrons of the postwar DP camps, underlay the shaping of a shared political worldview that would not abate, despite decades in exile. Drawing on personal diaries, in-depth interviews, and previously unmined government archives, the author provides an interpretation of the Ukrainian experience in Canada that is both illuminating and controversial, scholarly and intimate. Luciuk reveals how a distinct Ukrainian Canadian identity emerged and has been manipulated, negotiated, and recast from the beginnings of Ukrainian pioneer settlement at the turn of the last century to the present. Written with journalistic skill and a clear interpretive vision, Searching for Place represents a meticulous, original, and provocative contribution to the study of modern Canada and one of its most important communities. Peter G. Goheen, Professor of Geography, Queen's University. To place an order, please call 1-800-565-9523 or fax 1-800-221-9985 (outside Canada and the United States, call 1-416-667-7791 or fax 1-416-667-7832). A printable order form is available for faxing. Payment may be made by credit card (MasterCard, VISA, or American Express), cheque, or money order. Shipping charges apply. Inquiries regarding shipping, current price, and availability may also be sent via e-mail to utpbooks@utpress.utoronto.ca. Do not send credit card information via e-mail as this address does not provide secure ordering. Commercial orders and inquiries should be directed to the University of Toronto Press Order Fulfilment division. since Sep 25th 2000 InfoUkes Inc. Originally Composed: Monday September 25th 2000. Date last modified: Sunday October 22nd 2000.